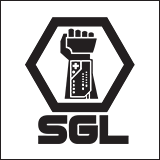 SGL | The 2018 SGL Stoned Gamer Survey presented by Vapexhale! 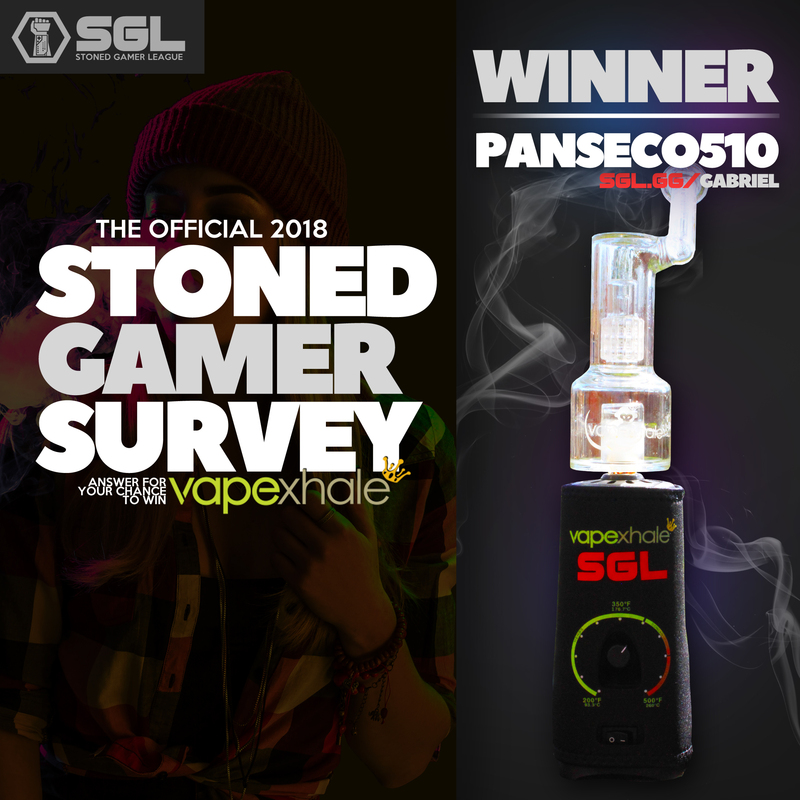 The 2018 SGL Stoned Gamer Survey presented by Vapexhale! Stoned Gamers, now is your time to make your voice heard for the entire PLANET! The 2018 Stoned Gamer Survey is finally here, and we're awarding one lucky Stoned Gamer a tremendous Vapexhale prize pack that features a complete HydraTube Starter Kit! This amazing prize will be awarded at random on December 31st 2018. 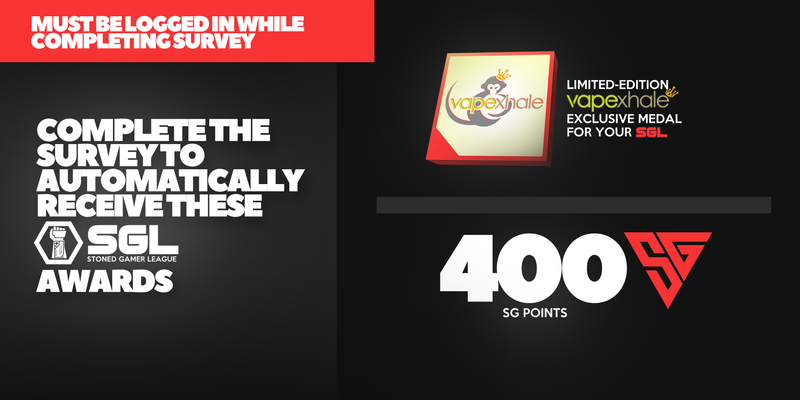 Everyone that completes this survey will also be awarded 400 SG along with a limited-edition Vapexhale medal. 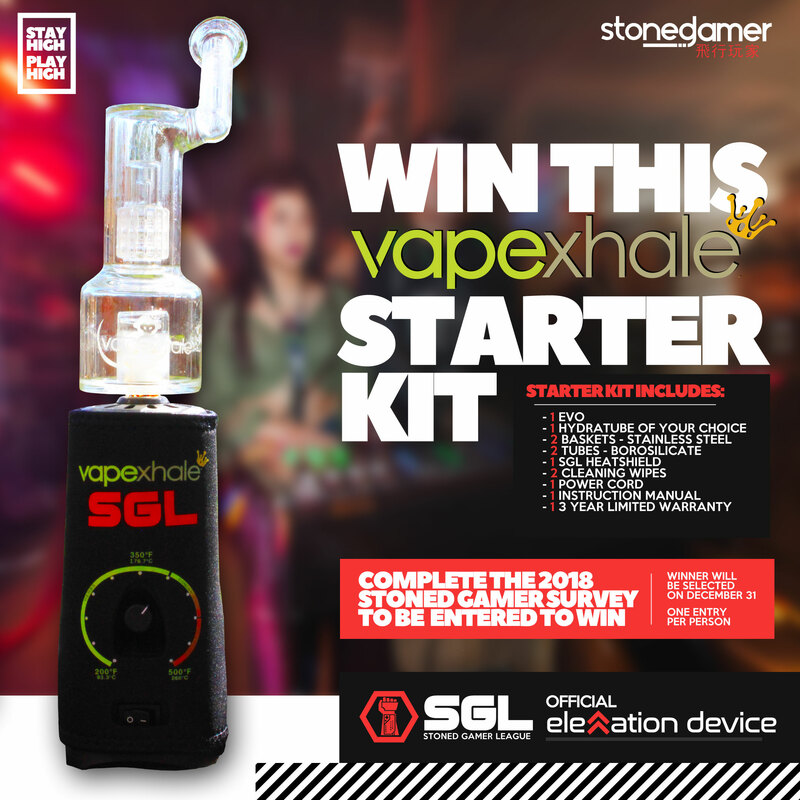 Must be logged in to receive your Vapexhale and SGL prize! Logging in is the only way we can identify you, so please log in! All data collected will be used to create incredibly dope infographs in order to understand Stoned Gamers better! Have fun and good luck at winning the Vapexhale starter kit!